Pakistan, who won the toss and opted to bat, were bowled out for 282 in their first innings on the first day of the second Test in Abu Dhabi on Tuesday. 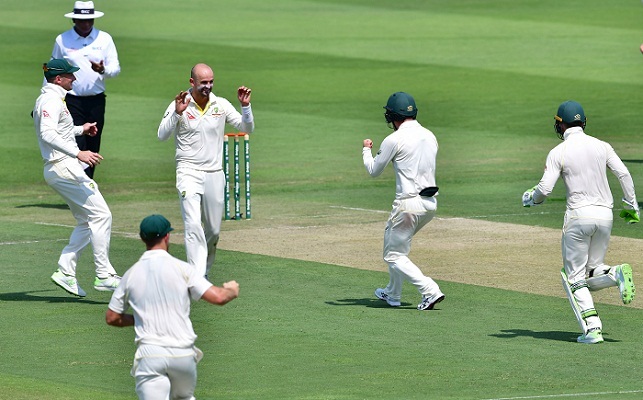 Debutant Fakhar Zaman and skipper Sarfraz Ahmed both scored 94 and togther added 147 for the sixth wicket after Pakistan were jolted by spinner Nathan Lyon with four wickets off six balls in the first session. The first Test ended in a draw.